Malaeng mao are only active in the wet season and as Thailand’s wet season varies throughout the country, you will see malaeng mao in full flight at different times of the year depending on where you are. Malaeng mao are eusocial insects (the same as bees), with three distinct caste colonies; reproductive queens, soldiers and workers. The caste which we see hovering around lights are from the reproductive group, the workers and soldiers do not have wings. 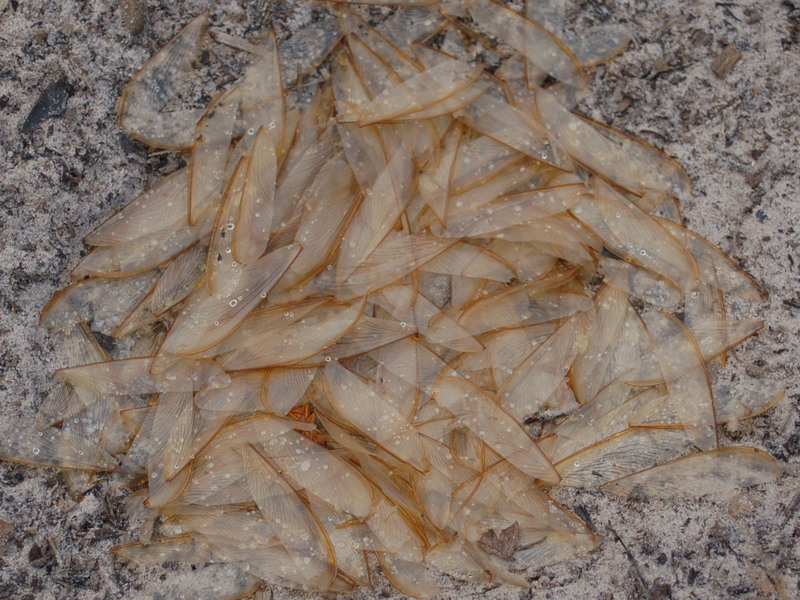 Thailand’s, malaeng mao is flying termite, so be mindful of the potential damage they can cause at other stages of their life. 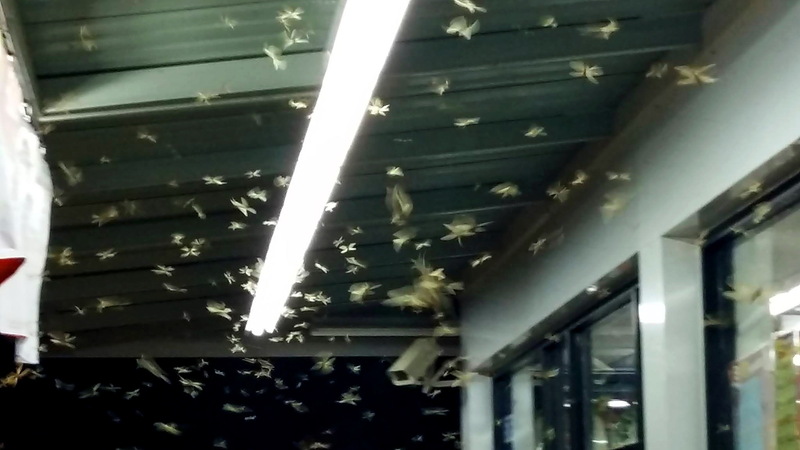 These flying insects take flight, in massive swarms of tens of thousands, early in the night after heavy rainfall, in search of new breeding grounds. Bright lights quickly distract the malaeng mao from their search for these breeding grounds, and this attraction to bright light is ultimately a fatal one. When this does happen, you will see swarms of them flying towards the brightest light in vision. They will enter houses or buildings through windows, doors or any opening that allows them to reach the visible light. They are often seen at the front of a house flying around the outside light. Malaeng mao live underground, so when they depart on this journey their wings are damp either from the moisture in the soil, or from the recent rain. After reaching the glowing fatal attraction, the heat emitted from the light will gradually dry out their gossamer wings causing them to shed, when this occurs the insect falls to the ground and eventually dies. Thailand’s Malaeng Mao have 3 very distinct and distinguishable features that set them apart from other flying insects, such as flying ants, which they are often mistaken for. ARE YOU CURIOUS WHY THAI GIRLS SIDE-SADDLE?